Recently, a client of ours called us back for a new job. After we were finished she left us a review online (scroll to the end of article to see it). 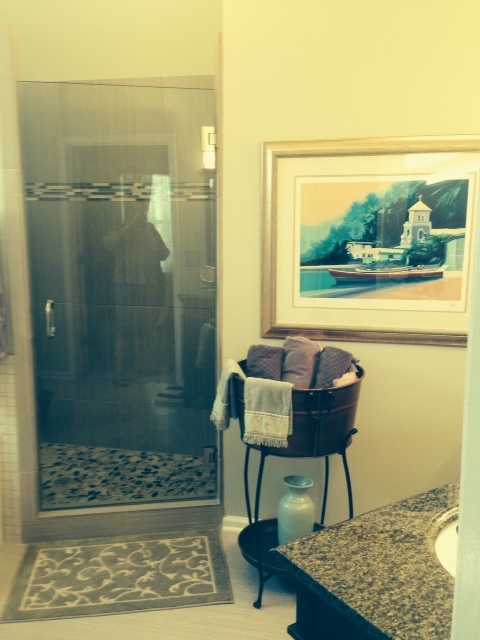 This month we also share ’10 Things to Ask Yourself Before Starting a Bathroom Remodel‘. Two years ago we had completed some interior paintwork for her. Recently, she realized that at some point in the future she was going to be selling her home and that her bathroom had never been updated. Did you know that the two big things appraisers look at when estimating the value of a home is whether or not the kitchen and bathroom is updated? She called us in to give a quote, which we happily did. Our estimate ended up being half the cost of another bid. 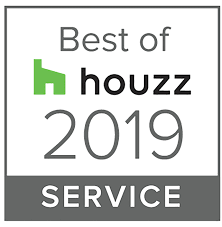 The reason we can do this is because Atlanta Curb Appeal is flexible when it comes to the needs or choices of our customers. 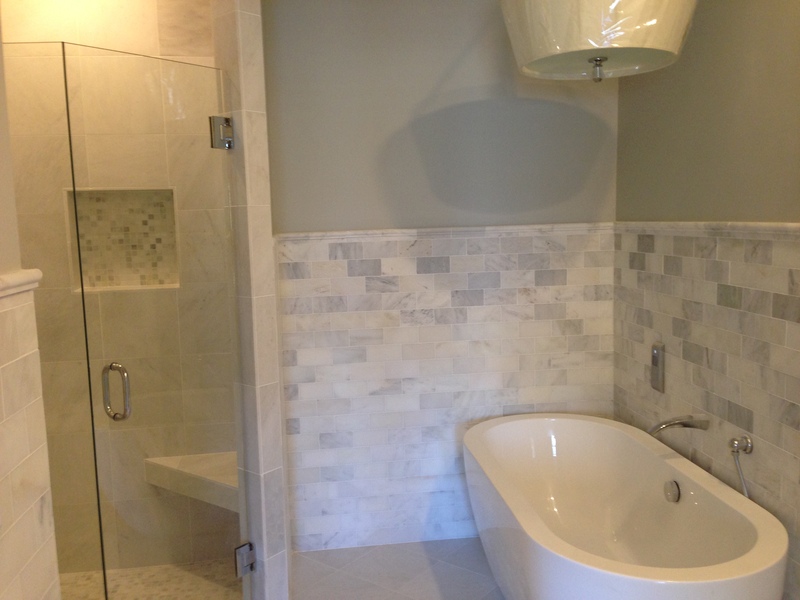 She decided to pick out her own tile and fixtures and this brought down the price of the job. As in many cases, Atlanta Curb Appeal was able to expand the shower by removing some walls and utilizing some of the unused corner space. 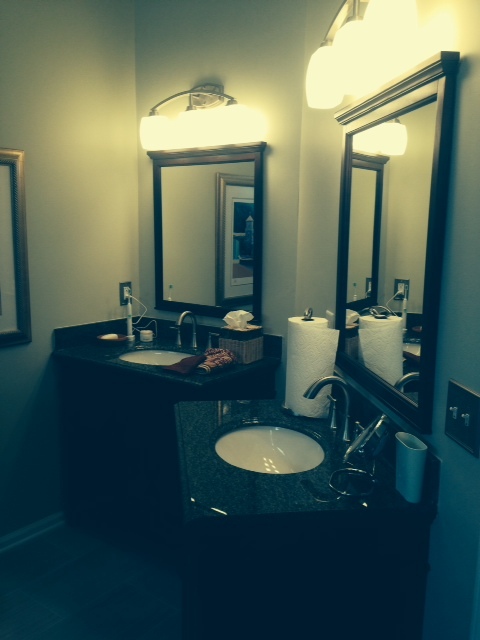 The finished product was a bathroom that was substantially larger and considerably more useful. This was a very cut and dry job, we did not encounter any challenges. It only took two weeks to complete. To say the client is thrilled is an understatement. 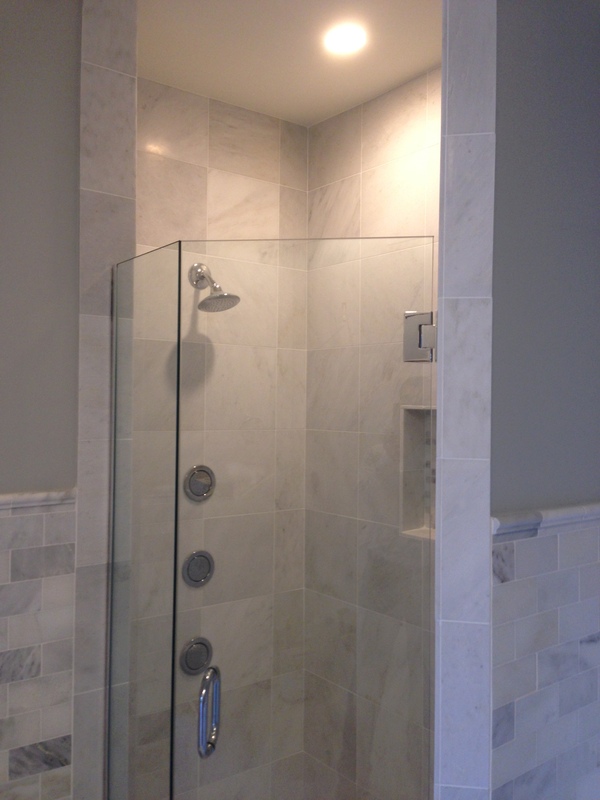 Check out 10 Things You Need To Consider Before a Bathroom Remodel! Atlanta rain can be nice, especially when the pollen is covering our neighborhoods like a yellow sheet of snow. However, when it’s starts pouring inside the house, then you’ve got problems. This particular Atlanta Curb Appeal bathroom remodeling job started because a neighbor’s pipe burst in his condo in Buckhead. Unfortunately, the entire unit was flooded. The company handling the removal of drywalls and floors, D.O.N.E. Restoration of Marietta, gave us a call to see if we would be interested in helping out in the re-construction process. We fixed the missing drywall, painted the unit and replaced the hardwood floors. 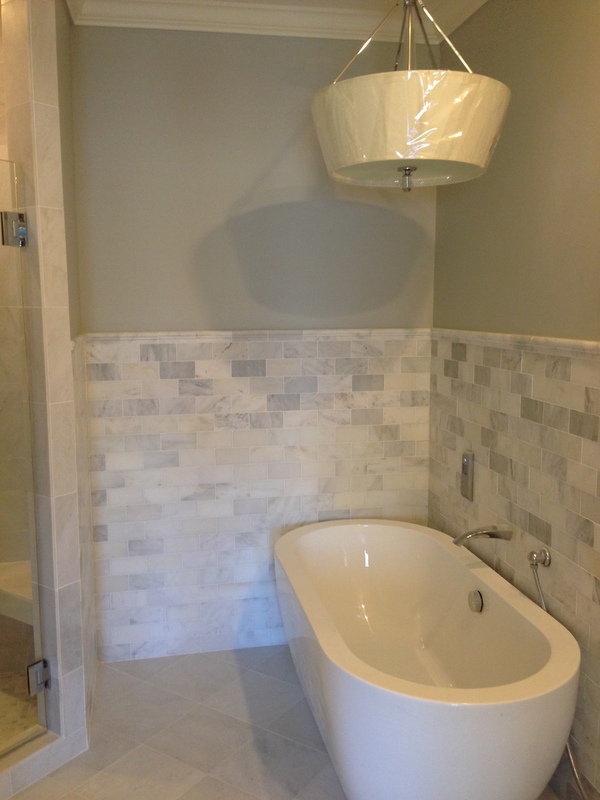 The customer was so happy with our work, he decided to go ahead and renovate the Master Bathroom. First the client had to decide if he was going to keep the same layout or expand. If you are going to have to demolition the bathroom anyways, you should consider all possibilities. Together we came up with a plan to enlarge his bathroom by taking some of the square footage from a big walk-in closet located behind the shower. 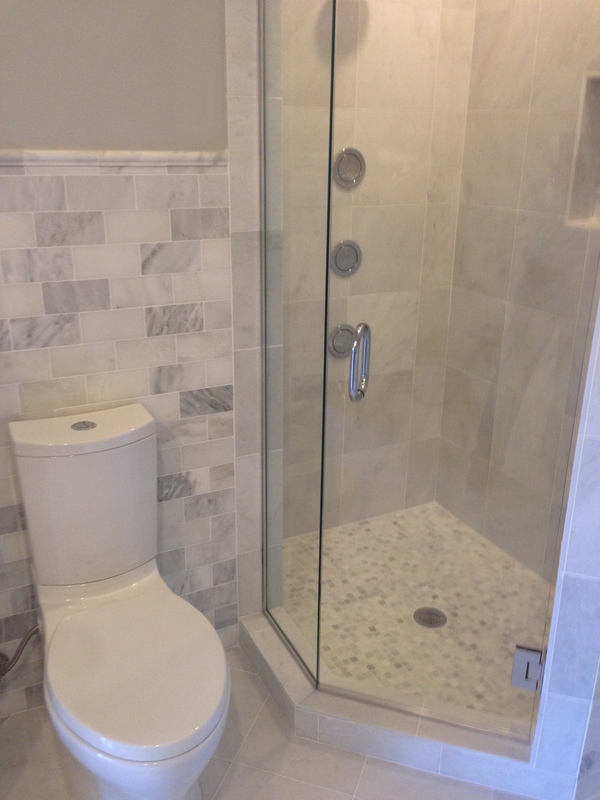 In this new space he was able to do a bigger shower, add a freestanding soaking tub (it is deeper than a standard tub) and a double vanity. This is the definition of modern comfort and luxury in today’s American home. Next came selecting the materials. 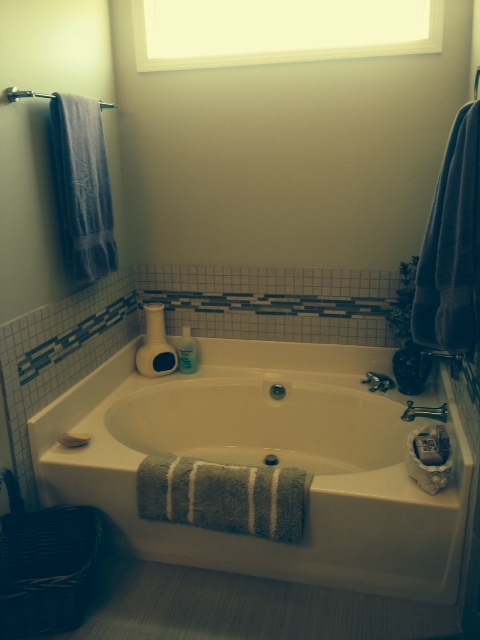 The client himself picked out the new marble tile and thermostat faucets. This modern bathroom is like something out of the future. The water system has automatic temperature control directed by a computer behind the wall. This computer is connected to all the water valves for the shower and bath. In the shower, we added the latest technology, a computer temperature control valve. These controlled valves not only keep the water the optimal temperature but also allow the user to preset according to your personal choice. These new showers have the added bonus of avoiding dangerous scalds. As you can imagine it was a big challenge to install all of these components and pipes inside the walls and then connect them to the computer box. We built it so that you could fully access the back-end for future maintenance. Also before we installed the new shower and tub we had to change the water lines and drain system under the floor to make space for the new location of the tub and shower. 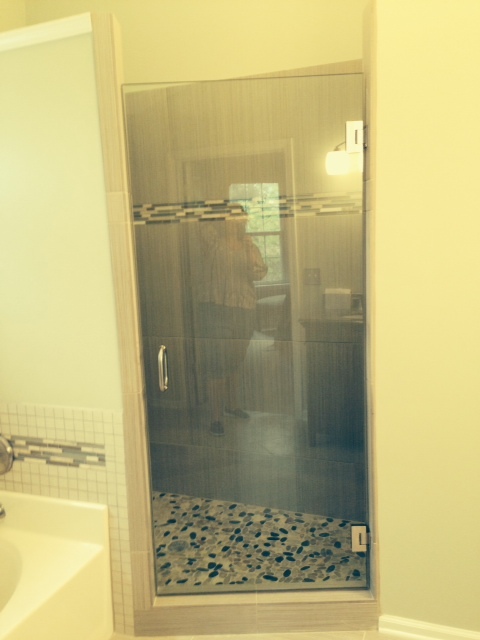 This bathroom remodel time took 3 weeks. We did all the work from beginning to end. Including a big demolition. 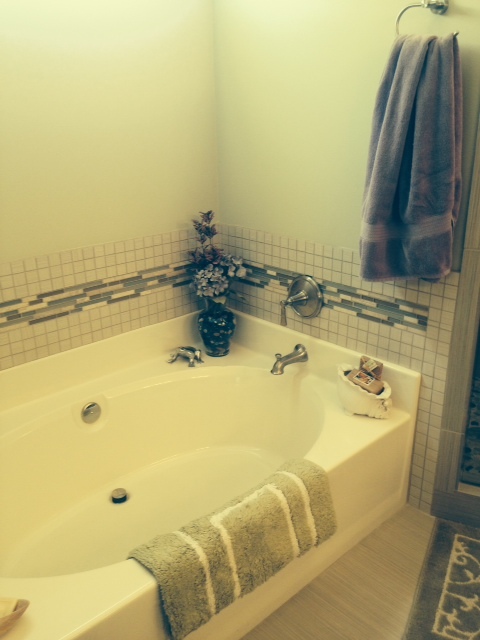 In our next post we are going to discuss questions you should ask yourself when remodeling a bathroom.